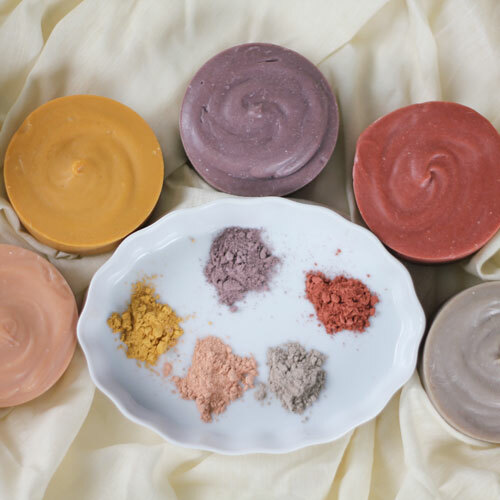 The natural color clay adds to cold process soap is gorgeous yet subtle. Another option for coloring your soap is LabColors. 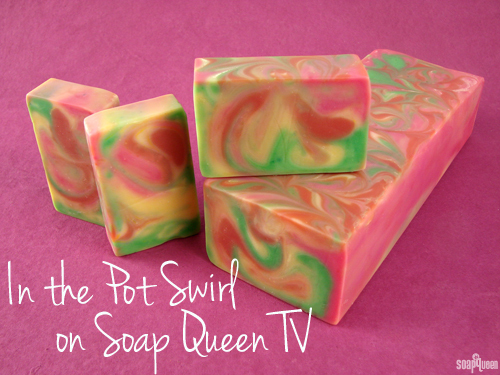 This In-The-Pot-Swirl Cold Process Tutorial on Soap Queen TV was created using bright and bold Labcolors. The throwback video, filmed with Christy from KB Shimmer, shows you how to get gorgeous swirls that are different in every bar. The brightly-colored swirls are accented with Energy Fragrance Oil for a fresh and fruity scent. Watch the video to learn Christy’s secret for air-bubble-free soap every time! 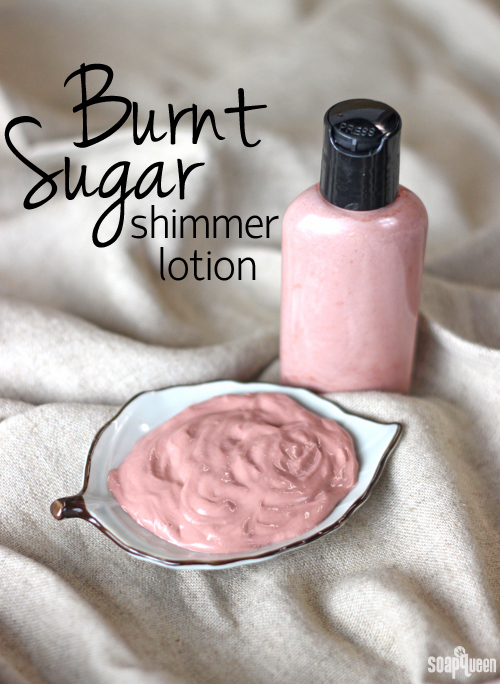 If you want to add a little sparkle to your crafty projects, click through the Burnt Sugar Shimmer Lotion post. A mix of Lip Safe Copper Mica and Cappuccino Mica add a subtle shimmer to your skin, while Burnt Sugar Fragrance Oil adds a smoky and sweet scent. Because the project is made with Aloe Lotion Base, it’s super simple to make. Even with a straightforward recipe, it can take several tries to get it just right. In the Soap Lab, some recipes are tested several times to ensure you have the most success when recreating it. This was the case with the Layered Lilac Loofah Cold Process. I tried several layered designs and a swirl design before the making the final product. 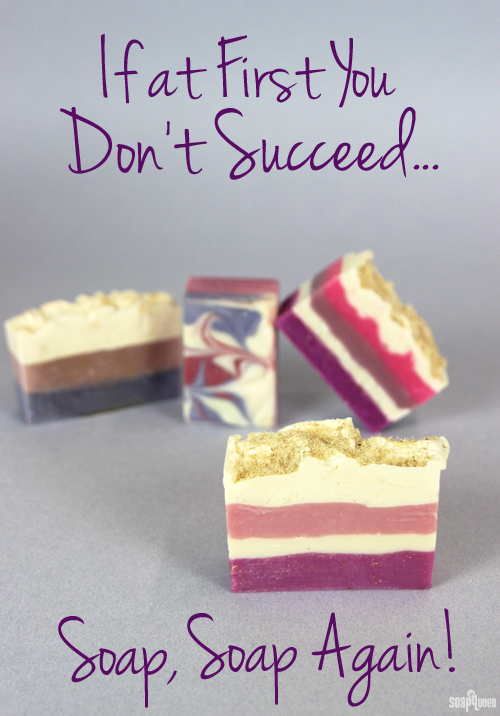 Read about the design evolution in the If at First You Don’t Succeed, Soap Soap Again post. All that soaping sure builds up an appetite! 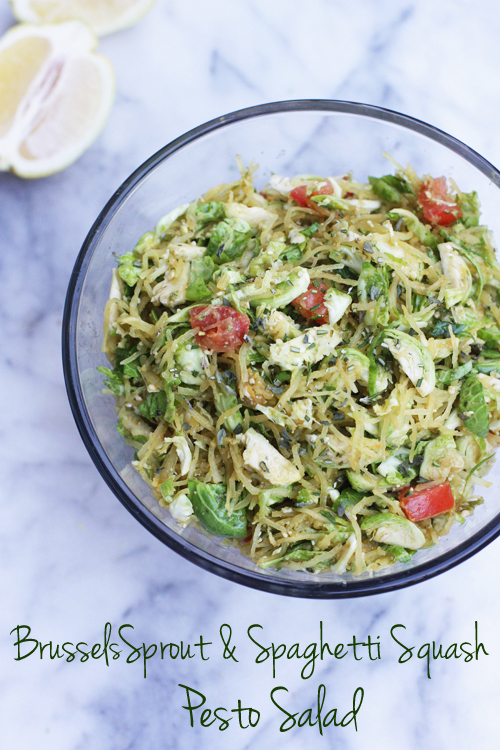 Satisfy your hunger with the Brussels Sprout and Spaghetti Squash Pesto Salad. With crunchy brussels sprouts and a tangy dressing made of pesto and balasmic vinegar, the dish is perfect as a side or a light lunch. It’s also a great way to stay healthy in 2015. Green is a great color in both salad and your soapy creations! 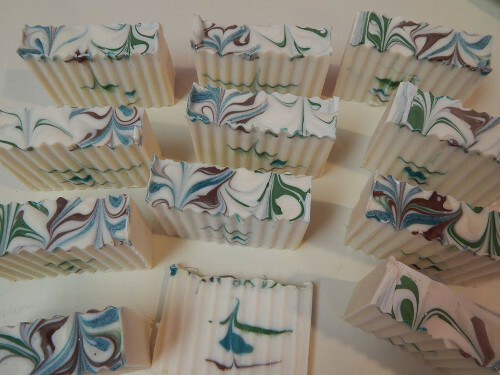 Glynith with KCK Soaps used a beautiful color palette of green, brown and blue in this week’s Facebook Photo of the Week. It’s a fun spin on the Christmas Tree Swirl Cold Process Tutorial. Glynith’s soap has fun colorful layers pointed up with the help of a hanger. She also added some stunning swirls on top that really pop against the white base. If you want some swirly fun on top of your soap, click through the How to Make the Perfect Peacock Swirl in Cold Process Soap Tutorial. A simple black and white soap is dressed up with a gold swirl on top in the Black, White and Gold All Over Cold Process. 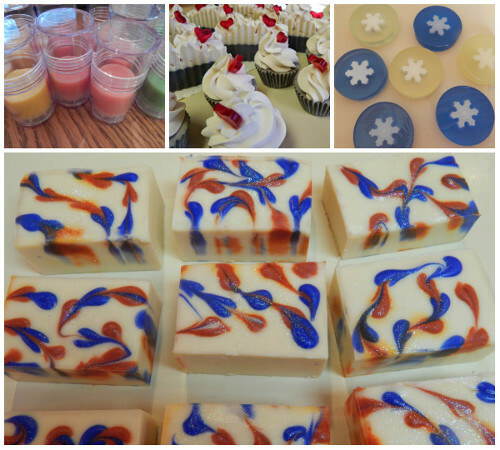 Above (clockwise, top left) are Glynith’s Solid Body Lotion, Heart Cupcakes, Snowflakes and Heart Swirl. To add some hearts to your soapy project, click through the Queen of Hearts Cold Process Tutorial. For some rainbow-colored hearts, check out the Rainbow Hearts Melt and Pour Tutorial.